This article was originally published to HuffPost on March 10, 2017. Click here to view. The door opened and smoke billowed out. A convalescent home was on fire. Responding fire departments arrived within minutes. Firefighters jumped down from their trucks and engines, checked their gear, and began pulling hoses down. Once inside, firefighters found themselves in total darkness with smoke so thick visibility was down to a matter of inches. The fire was located and extinguished rapidly, and the work of rescuing the patients trapped inside began. Firefighters groped their way along the walls of the hallway, looking for open doorways where they might find patients. Like Theseus in the Labyrinth, they trailed a rope behind them so they could easily find their way back to the front door. With thermal cameras, they scanned the darkness looking for the telltale white heat signature of patients trapped inside the building. One by one, patients were located. Some were unable to move due to their injuries. Some were unconscious. Others were merely disoriented. One patient was found sitting on her bed, clutching her pillow. She mutely nodded. The firefighter took her by the arm and escorted her carefully down the still darkened hallway, mindful of the wet floors and fire hoses snaking their way towards the doors. The pair emerged into the light, and the firefighter led his patient over to a waiting paramedic. 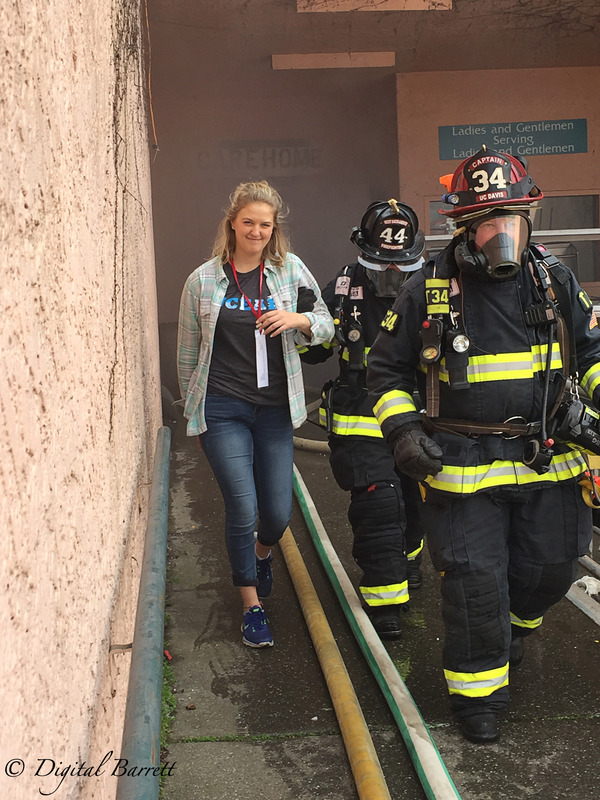 An assessment revealed she had difficulty breathing and was likely suffering from smoke inhalation, but otherwise she had no major injuries. She was given oxygen as an ambulance was prepared to take her to UC Davis Medical Center. 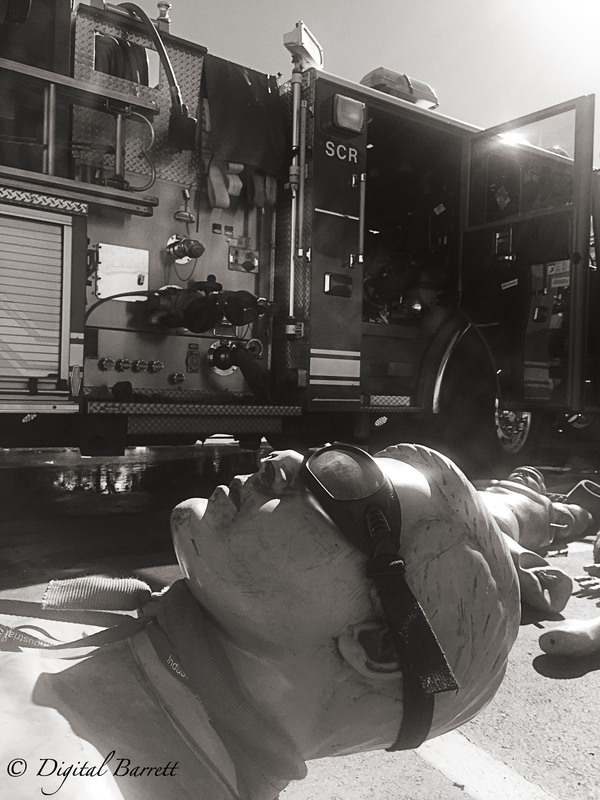 This was the scene of a recent Mass Casualty Incident (MCI) drill put on by the Sacramento City Fire Department. 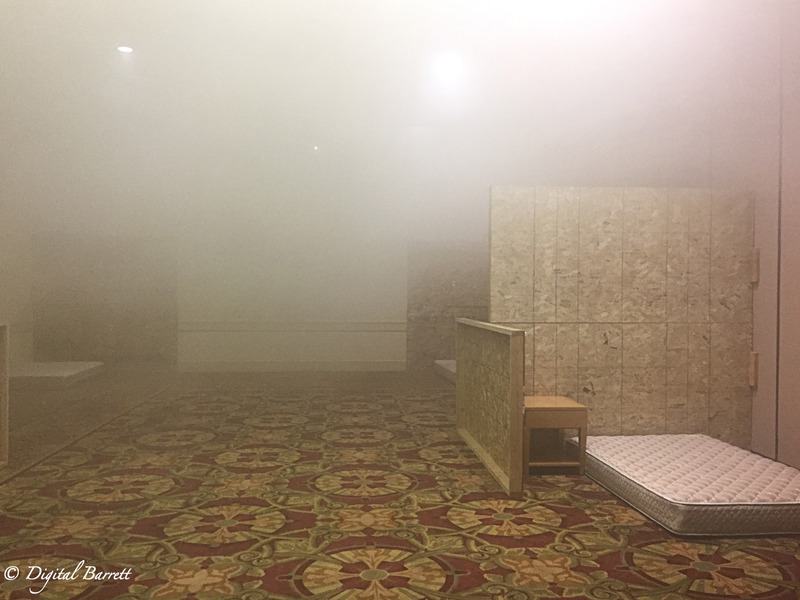 For the past few weeks, the Sacramento City Fire Department and other local fire agencies ran MCI drills using the former Red Lion Hotel in Sacramento. 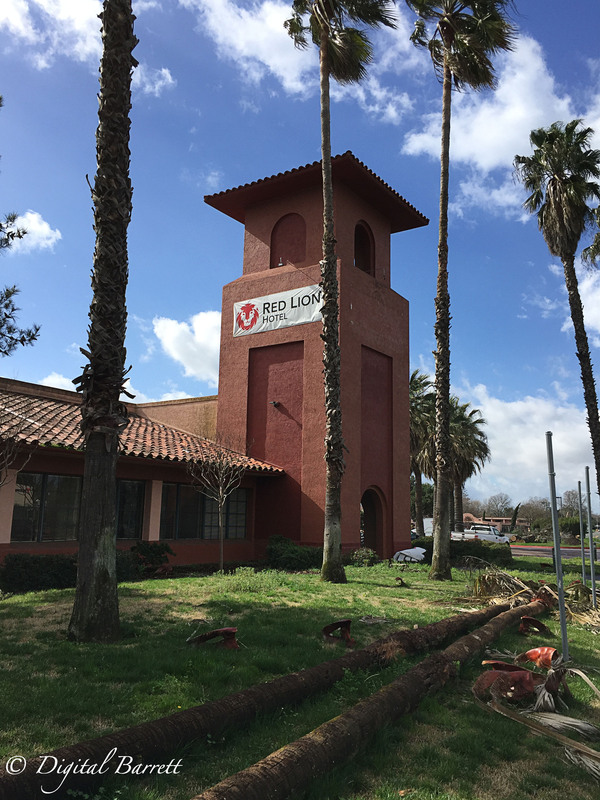 The Red Lion is scheduled for demolition next month so it was the ideal scene for a “true to life” drill. MCI drills are infrequent, but very important. An MCI is roughly defined as any incident that overwhelms the responding resources. Declaring an MCI is a highly contextual decision that is based on the number of available fire department resources, ambulances, and medical facilities. The Sacramento City Fire Department put a lot of effort into making the drill as real as possible. Several of the Red Lion ballrooms were converted to simulate a dining room and patient bedrooms. Walls and alcoves were constructed from 2x4s and plywood with mattresses laid in each alcove to simulate a patient’s bedroom. In an adjoining room, tables and chairs were set up to simulate a dining room. 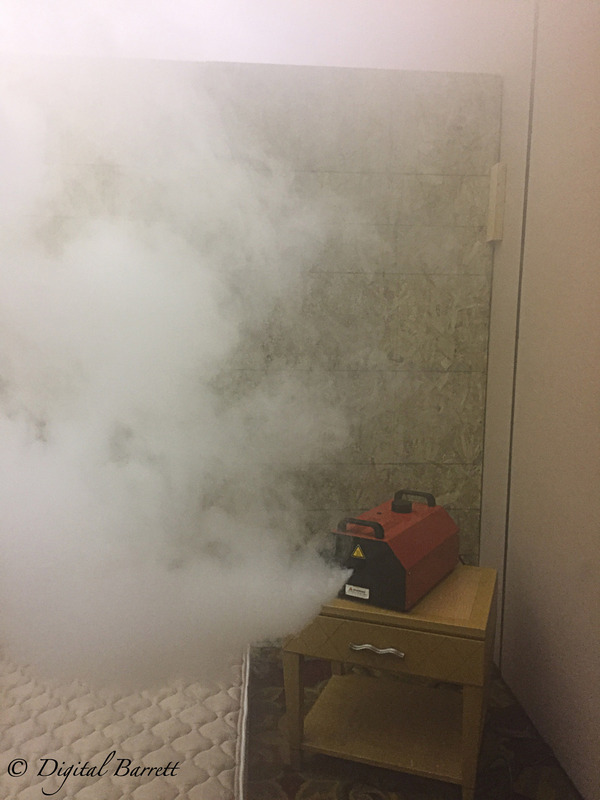 Theatrical smoke machines provided enough smoke to reduce visibility to almost zero. With the lights out, it was true darkness. Firefighters would have to manually search each area to find all of the patients. 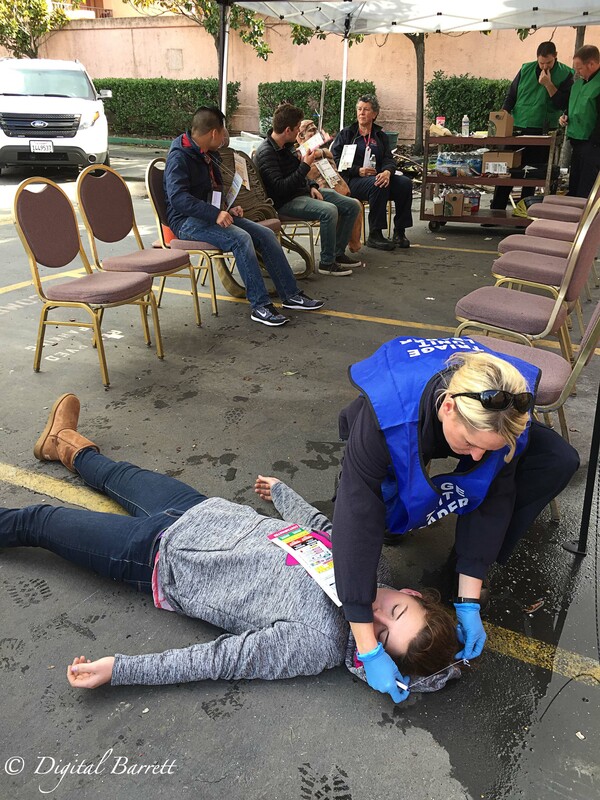 In order to make the drill as real as possible, volunteers from the UC Davis Fire Department EMT Program and Sacramento Community Emergency Response Team acted as live patients. Each volunteer was given a tag that provided information describing their symptoms and medical issues. Volunteers were encouraged to role play as much as possible requiring the responding firefighters to carry out some patients. Other patients were asked to be disoriented and walk away if a firefighter left them unattended. In real life, many people do get disoriented and wander back into the building if not kept ahold of. Several mannequins were also placed through the facility. With the thermal cameras, live patients could be seen easily through all of the smoke and darkness, but the mannequins, with no heat signatures, had to be found by good old fashioned hand searching. Finding the patient was only half of the work. Once the patient was brought outside, they were turned over to a team of EMTs and Paramedics. The EMS teams had set up a triage station outside where they received patients and determined what level of care they required. Firefighter Scott Hatcher of the UC Davis Fire Department was given an opportunity to practice as the EMS Group Supervisor for the MCI. In addition to being a Firefighter/Paramedic, Hatcher directs the UC Davis Fire Department EMT Program, and he is also the Pre-Hospital Care Coordinator for the UC Davis Fire Department. The MCI drill offered a rare opportunity for Hatcher to practice his role as one of the area’s EMS coordinators. Hatcher’s role as EMS Group Supervisor for the MCI meant he would oversee triage and patient care. Upon arriving on scene, he designated a triage leader and a transportation leader. Once Hatcher declared the incident an MCI, he contacted the county base hospital. Each county has its own base hospital and disaster control facility. The disaster control facility will makes contact with all hospitals in the area and determine how many patients they can receive and what injuries they can treat. Each county has its own protocols for responding to an MCI. 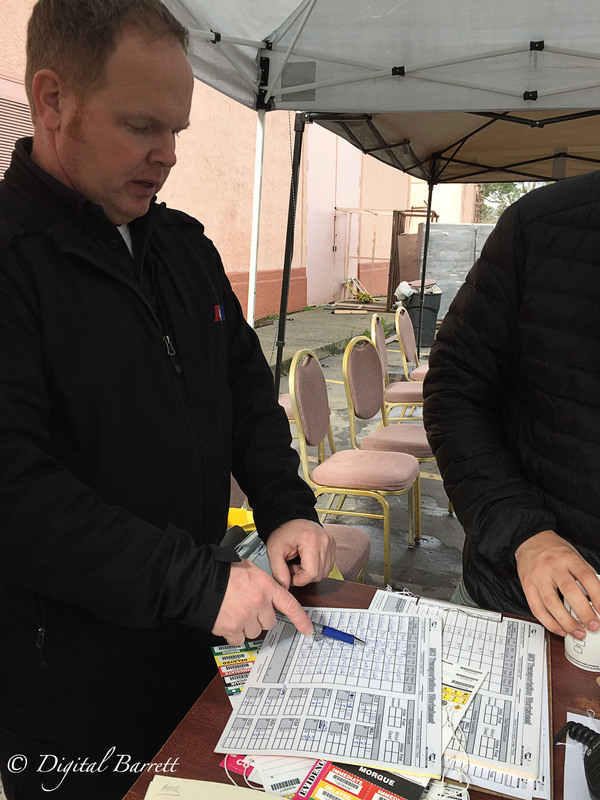 “Yolo County and Sacramento County handle MCIs differently. Both systems work very well, they are just different. It was great to get to practice with a protocol I am not familiar with,” Hatcher said. When a patient arrived at the triage station, he or she was assessed for injuries and medical problems. Since this was a simulated convalescent home, many of the patients were elderly. Potential injuries ranged from smoke inhalation and burns to fractured hips and complete unconsciousness. 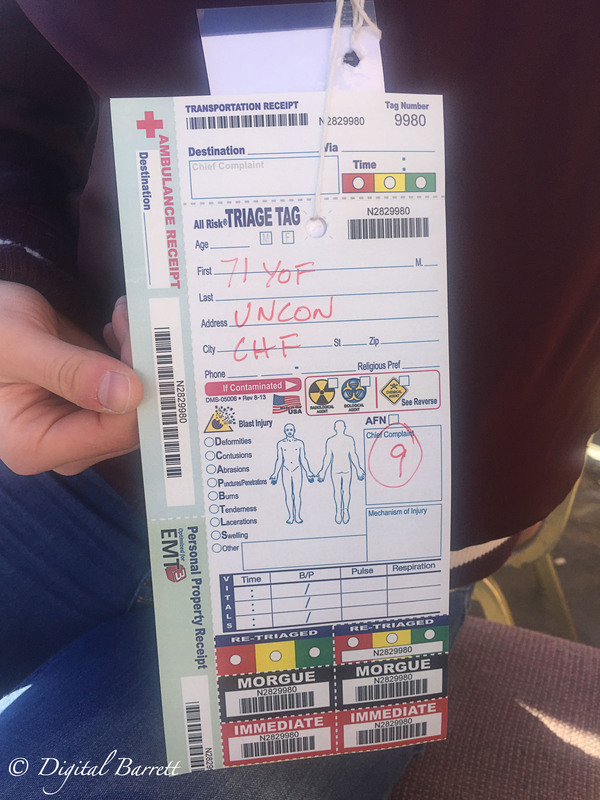 Each patient was given a triage tag. AMR Paramedic Scott Gowin explained how the triage tagging system worked. After each drill, the responding fire and EMS crews do a debrief. 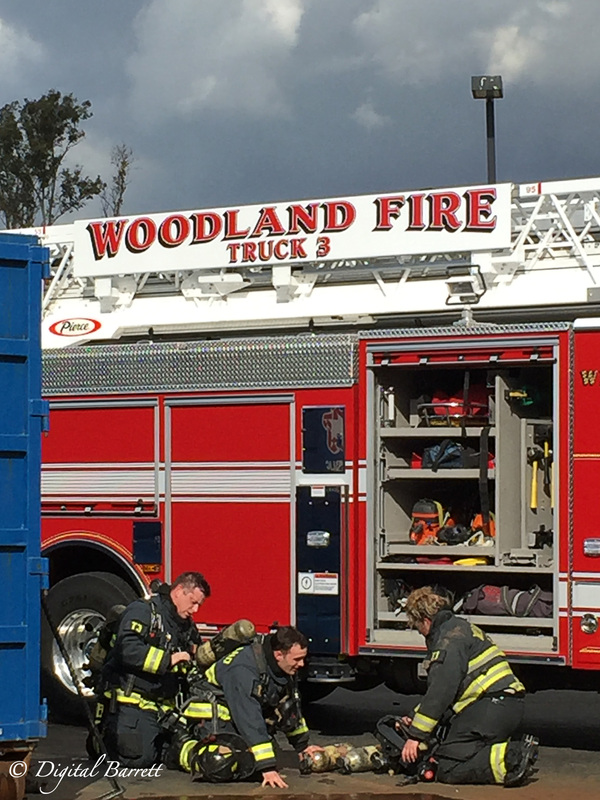 During the debrief, the drill proctors asked each responding engine or truck crew to explain what role they played, what they thought of their performance, and lessons they learned. Firefighter Thomas Elliott of the West Sacramento Fire Department volunteered to come and assist with the MCI drill. He and several other firefighters set up the props, observed crews as they went through the drill, and provided feedback afterwards. “The communications requirements for a complex operation like this always yields lessons on how we can approach and conduct ourselves more fluidly. The number of people working on an incident of this size creates a unique challenge in coordinating the many tasks that need to be accomplished in order to get firefighters in and out safely, to locate and extinguish the fire, and simultaneously conduct a search for victims,” Elliott said. Although all fire departments have the same mission, many of them have different protocols and procedures. 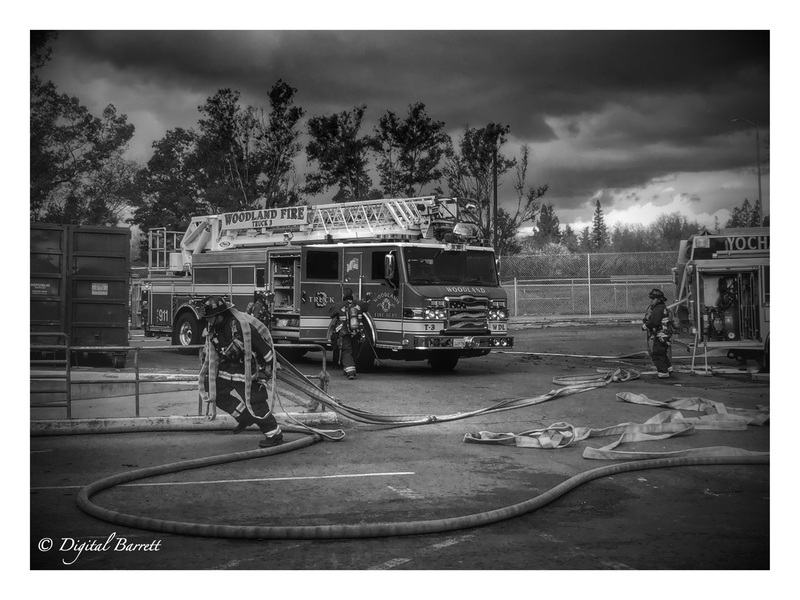 When multiple fire departments respond to a scene, it can be chaos without some type of standardized command structure. “While incidents like this are less frequent, we still need to be ready immediately to perform at a high level and to work cooperatively with our surrounding agencies when they occur. We saw many local agencies work well together during this drill. We train together and communicate and collaborate when implementing procedures and it really showed out here,” Elliott said. With the drill completed, each fire department took away experiences that hopefully will help enhance their already exemplary performance as they strive to provide the best service they can to their communities.